With many professional packages to provide for all clients wants and needs, Loving Touch Doulas serve the entire Phoenix, AZ area. It is LTD’s desire to provide you and your partner/husband with the support necessary to make your pregnancy and birth experience a positive and rewarding experience. 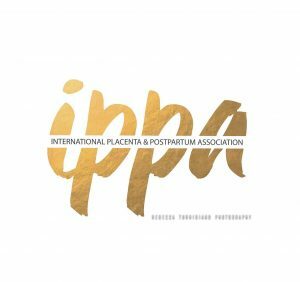 Loving Touch Doulas is proud to be 1 of 3 IPPA certified Placenta Specialists in Phoenix,AZ. Like Birth and Postpartum care, Rebecca strives and delights in bringing her clients the standard of care that every Momma should expect and deserves. 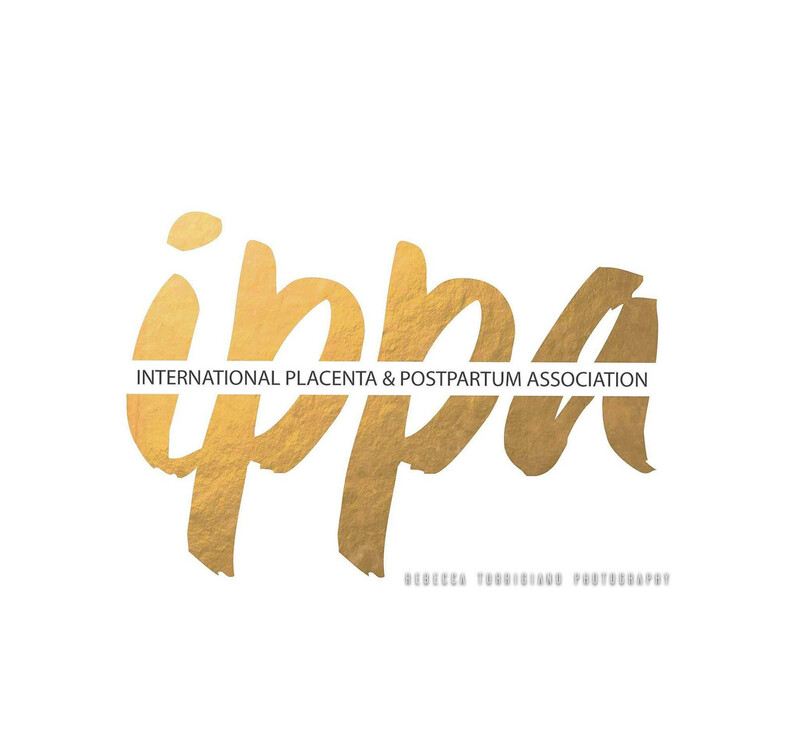 Knowing your placenta is being prepared in a sterile and purposefully allocated space, just for encapsulation, will provide you with the assurance that you are getting the highest, safest quality of encapsulation possible! Encapsulation Services are currently available for Birth Doula and Birth Photography Clients only. Placenta Capsules – Mothers can choose either or a combination of the Raw, Basic Heated, or Traditional Chinese Method of preparation for their placenta capsules. There is an additional $25 charge for Basic Heated and Traditional Chinese Methods, due to the extra time and supplies required. For the Traditional Chinese Method, the mother must work with a Doctor of Chinese Medicine, who will prescribe a combination of herbs to use during the steaming process. Those herbs must be provided to Loving Touch Doulas prior to delivery. Placenta Tincture – A strong remedy for both mother and baby, the Placenta Tincture is made from allowing a piece of the mother’s own raw placenta to steep in 100 proof alcohol for eight weeks. The tincture is a liquid form of placenta pills that lasts and can be used for a lifetime! For the mother the tincture can be used to balance postpartum/hormonal fluctuations, decrease insomnia and sleep disorders, ease anxiety and stress during times of transition or emotional distress, increase energy, and to relieve and reduce symptoms of PMS and, later in life, menopause. For the baby (son or daughter 6 months to 3 years old), it can reduce colic and ease teething discomfort, boost the immune system, and ease anxiety and stress during times of transition or emotional distress. If the baby is a girl, it can be used past 3 years throughout her lifetime to help balance hormones and stabilize cycles when menstruation begins. 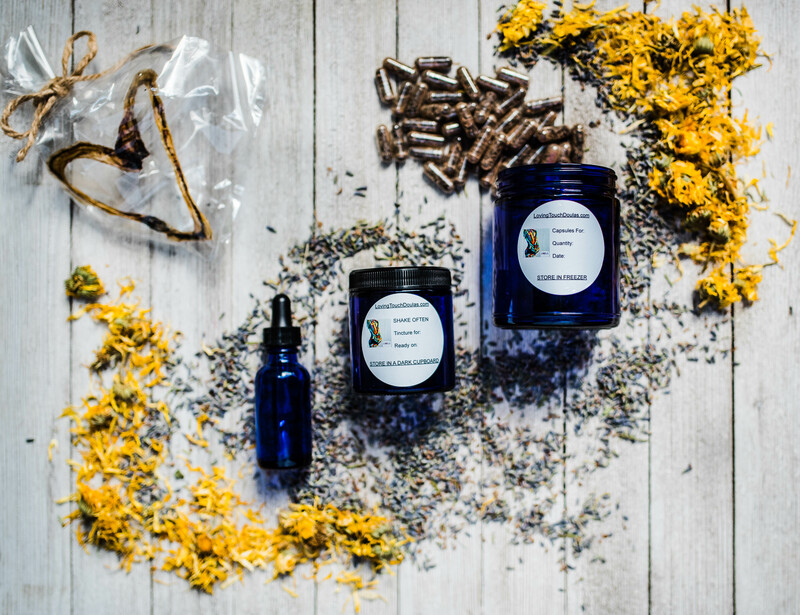 The baby’s biological maternal grandmother can even use the tincture to relieve and reduce symptoms of menopause. Smoothie Cubes – Some mothers choose to ingest a portion of the raw, uncooked placenta. Utilizing the placenta raw, directly after birth, can help with immediate postpartum healing and can help control bleeding. A portion of the placenta is cut into small pieces and frozen for use in smoothies, made and prepared by the mother. Smoothie recipes will also be provided. The remaining placenta will then be processed and put into capsules. Umbilical Cord Keepsake – The umbilical cord is dehydrated and formed into an artistic shape or word, most commonly a heart (depending on the size of the cord). Place in a memory box, shadow box, or on a shelf for display. Placenta Prints – Prior to processing, the placenta is captured in a beautiful piece of art. The placenta is pressed onto water color paper, making a lovely print that outlines the uniqueness of your baby’s/babies’ placenta. For an additional $15, we can create a color print using safe, ingestible dyes. Prints can be framed for an additional $35. Frames come in white or black. 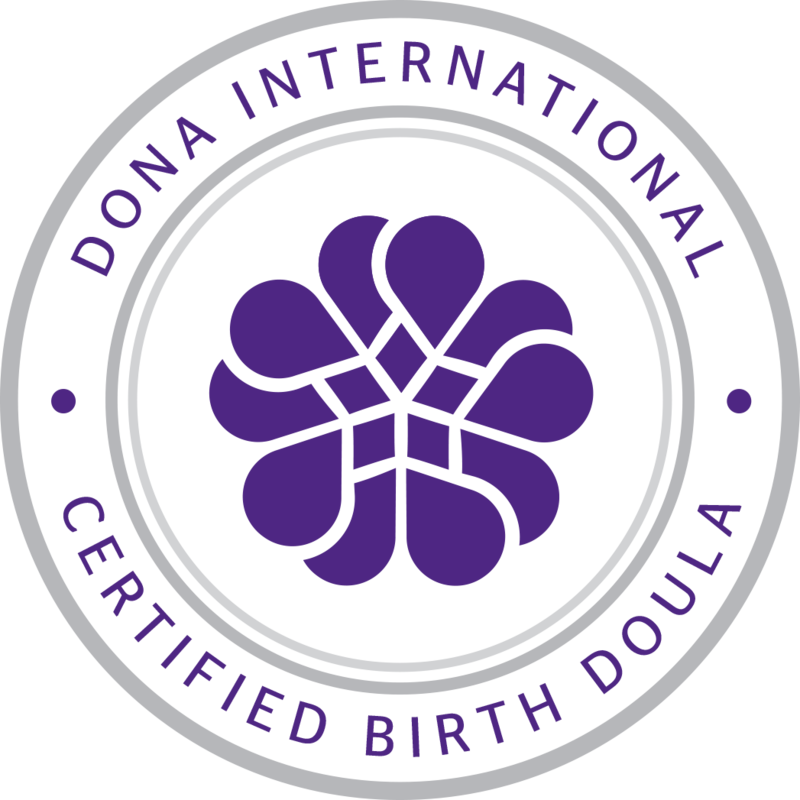 Loving Touch Doulas (LTD) is not a pharmacy, pharmaceutical representative, holistic practitioner, herbalist, or medical doctor. Benefits of Placentophagy are supported by ongoing research but have not been evaluated by the Food and Drug Administration. Placentophagy, (it is intended solely for ingestion by the mother who has birthed the placenta and not for her family members, friends, or other individuals) is a natural nutritional supplement and as such cannot be guaranteed to produce specific results. LOVING TOUCH DOULAS IS NOT CURRENTLY OFFERING POSTPARTUM DOULA SERVICES.